A former rural Idaho emergency medical worker is sounding the alarms over his former fire chief’s salary and raising a host of ethical and performance allegations. Willard Protsman, an EMT with the Westside Fire District, was fired in May. He says it’s because he raised a host of issues concerning Fire Chief Mike Tucker and practices in the fire district. Tucker, who oversees the department that provides emergency services to about 5,000 people near Sandpoint, Idaho, makes over $80,000 annually. In an era of shrinking budgets, Protsman says Tucker’s salary is oversized. “Last year, it was 75 [emergency] calls,” he says. “It’s a very, very quiet district.” The district’s boundaries include Dover — a hamlet of about 430 — the smaller Laclede and countryside around and north of the Pend Oreille River. Protsman also alleges that Tucker and the fire district’s commissioners have not adequately recruited and trained volunteers, failed to fix a broken ladder truck, missed a handful of fire calls this year and arbitrarily dismissed a dissenting commissioner. Protsman, a tall, mustachioed man, organized a meeting in Laclede on Sunday to discuss his allegations. About 20 people met in the antiseptic whiteness of the Laclede Community Center, which lies between a lumber mill and one of the fire district’s stations. Protsman told the crowd that the fire district won’t be easily rid of him. “I am not going to go away,” Protsman says. Tucker oversees a district with three fire stations, three full-time subordinates and about a dozen volunteers. In Dover, where the main station is located, the average median household income in 2009 dollars was $36,726, according to U.S. Census data. That’s less than half of Tucker’s pay. By comparison, Spokane Fire Chief Bobby Williams, who oversees 14 fire stations and about 320 workers, will make $169,300 this year as one of the city’s highest-paid employees, according to Marlene Feist, the city’s spokeswoman. The Newport Fire Department, which oversees the Eastern Washington town of about 2,000, is all-volunteer. Its chief does not draw a salary, according to the city’s office. Asked whether he thought his salary was appropriate for a district like Westside, Tucker says, “I guess that’s up to the commissioners” who set the salary. He adds that he hasn’t gotten a pay raise since 2008. Regardless, Tucker dismisses Protsman’s allegations as the stewing of a bitter ex-employee. The chief says the handful of missed calls were due to a problem with the district’s communications system, which has since been rectified. The ladder truck was only bought because it was required for one housing development in Dover, and the local urban renewal agency has not provided all the funds it promised for the truck’s purchase and upkeep. 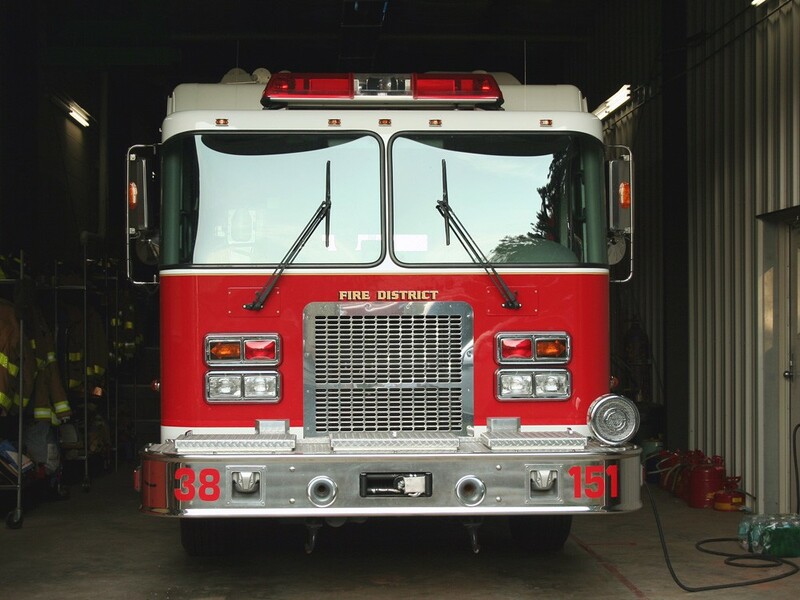 Tucker says the Westside Fire District Commission has taken the position that the district’s taxpayers should not have to pay for repairs to a truck that they do not use. Tucker says he can’t disclose why the district fired Protsman. Protsman says he himself doesn’t know the cause for his termination. A call on Monday seeking comment from Commissioner Dan Lawrence was not returned by press time. Former Commissioner Will Gadsby attended the meeting in Leclede but said little. Gadsby says he resigned from the commission after being told he was improperly appointed. By the same logic, the commission’s other two members should also be considered illegally seated, according to Protsman. “They’re not following Idaho code, which is the law,” Protsman says. Laclede resident Art DuFault, who sat through two hours of Sunday’s meeting, says Protsman needs to move on with his life and move past the perceived problems. But DuFault, 73, also says the fire district needs to reform — and light a fire under Chief Tucker.